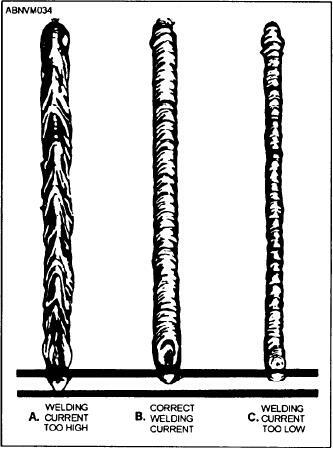 Figure 10-33.--Comparative GTA weld beads as determined by electrical current. Figure 10-31.--Forming a molten puddle with a GTA torch. when you learn to weld in a comfortable position. should be melted by the leading edge of the pool. plate along one or both edges of the weld bead. plate until you are satisfied with the workmanship. that the welding current is too low. that will meet visual inspection requirements.